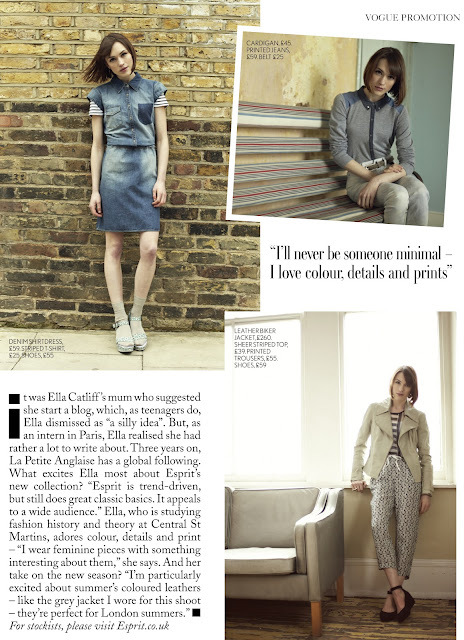 I had the pleasure of shooting the cute-as-a-button Ella Catliff from La Petite Anglaise dressed head-to-toe exclusively in Esprit for Miss Vogue. Styled by Katy Lassen. She has amazing style, no doubt. Great post thanks for sharing. Here at The Fitted Bedroom Centre we have a beautiful range of wardrobes in both classic and contemporary designs plus inspirational ideas on how to create the bedroom of your dreams. We love to hear from readers' about their own design ideas. Your blog is awesome! To be in trend of modern fashion, see yourself in maroon skinny jeans! They seriously reshape your body. You have done some great work. The pictures are phenomenal. She is great. The clicks are incredible. Summer is everyone's favourite season. Specially because you get to wear an array to different styles and dresses.